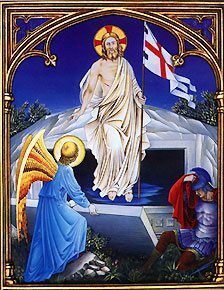 The Resurrection represents the eternal and definitive triumph of Our Lord Jesus Christ, the complete defeat of his adversaries, and the supreme argument of our faith. Saint Paul said that, if Christ had not resurrected, our faith would be vain. The whole edifice of our beliefs is founded on the supernatural fact of the Resurrection. Let us then meditate about this highly elevated subject. Christ Our Lord was not resurrected: He resurrected. He was dead. Lazarus was resurrected. Someone other than him, in this case, Our Lord, called him back to life. As for the Divine Redeemer, no one resurrected Him. He resurrected Himself, needing no one to call Him back to life. He took his life back when He so willed. Everything that is said about Our Lord can be analogically applied to the Holy Catholic Church. 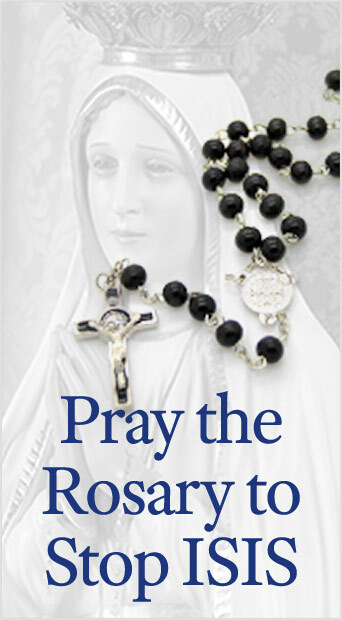 We often see, in the history of the Church, that precisely when She seemed irremediably lost and all the symptoms of catastrophe seemed to undermine Her, events took place that kept Her alive against all the expectations of Her adversaries. A rather curious fact is that sometimes it is the Church’s enemies that come to Her aid, rather than Her friends. For example, in a most sensitive time period for Catholicism like Napoleon’s era, an extremely unusual episode took place: a conclave was convened for the election of Pius VII under the protection of Russian troops, all of them schismatic and under the command of a schismatic sovereign. In Russia itself, the practice of the Catholic religion was curbed in a thousand ways. Yet, in Italy, Russian troops ensured the free election of a Sovereign Pontiff precisely at the moment when a vacancy in the See of Peter would have caused such grievous damages for Holy Church that, humanly speaking, she might never have been able to overcome them. Such are the marvelous means that Divine Providence employs to demonstrate that God has the supreme government of all things. However, let us not think that the Church owed Her salvation to Constantine, Charlemagne, John of Austria, or Russian troops. Even when She seems to be entirely abandoned and when She lacks the most indispensable natural resources for survival, let us be certain that Holy Church will not die. Like Our Lord, She will rise with Her own, divine strength. And the more inexplicable the seeming resurrection of the Church may be from the human standpoint (we say seeming, because, unlike Our Lord, the Church will never die a real death), the more glorious Her victory will be. The preceding article was originally published in O Legionário, No. 559, on April 25, 1943. It has been translated and adapted for publication without the author’s revision. –Ed. This entry was posted in Catholic Perspective, Plinio Corrêa de Oliveira and tagged catastrophe, Catholic, Catholicism, Christ, Church, confide, dead, defeat, Divine, earth, Easter, enemies, eternal, faith, glorious, God, Hell, history, holy, ideological, Jesus, Kingdom, life, meaning, meditate, Our Lord, Pius, Plinio, Providence, Redeemer, religion, resurrection, Saint, salvation, schismatic, sovereign, supernatural, Triumph, true, victory by Plinio Corrêa de Oliveira. Bookmark the permalink.